Innovation is a card-driven journey through humanity's ideas and advancements from prehistory all the way to the internet. Each innovation has its own card, with a unique ability that will drive your civilization forward, and possibly get in the way of others. The basic rules of the game are simple, but managing your innovations effectively becomes an intriguing puzzle. Can you claim enough achievements before history passes you by? 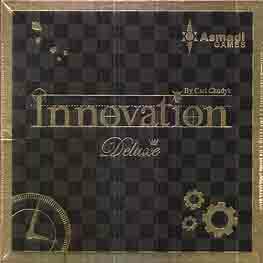 Contains all four Innovation expansion, with the Third Edition art and card updates.